Our first πCraft Wednesday! What a busy week. 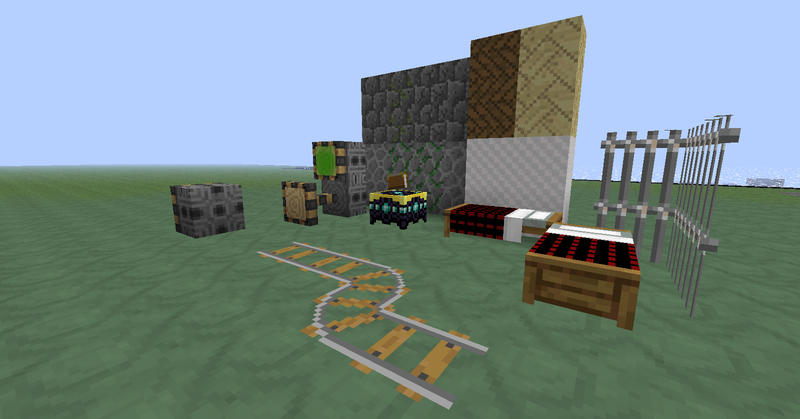 For those of you who don't know I've set out to create a 16x16 texture pack for the video game Minecraft. Texture packs doesn't add any functionality to the game but they do change the way you view the game world. 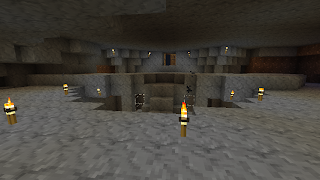 My goal with πCraft is really to build on the original texture pack, and giving it a slightly more realistic (as real as you can get with 256 pixels of space anyway) yet homey rustic feel. I use the same colors you find in the default texture pack both to keep textures recognizable at a distance, and also for Minecraft architects so that there aren't variations in color when view their builds with my pack. So, as you can see here I've been a little busy. Since last you've seen me I've added both sticky and normal pistons, mossy cobble and stone brick, cracked stone brick, iron bars, and a few ideas for our wood textures. I tried to go with a small repeating texture to let it work as carpet and walls and still function as a solid color at a distance. I've changed my bed spread texture... but it is also subject to change. 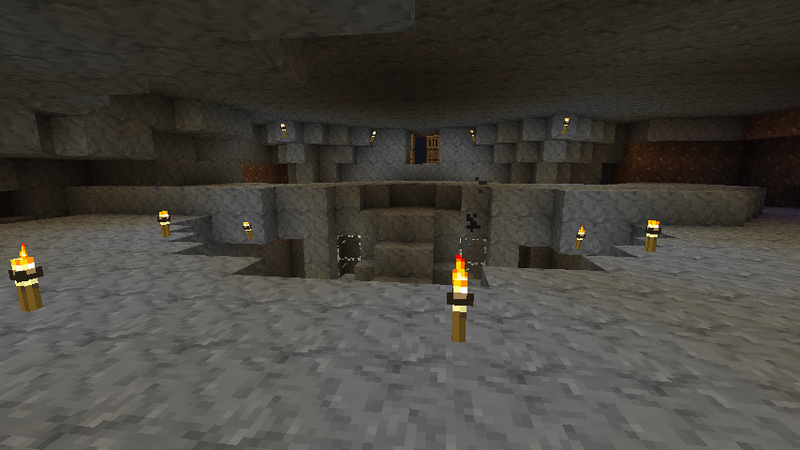 I've also started work on a test zone to show off textures in a more organized faction. Most of it is clearing up space right now... but hopefully it will become a fun map I can give away with the release of the texture pack. 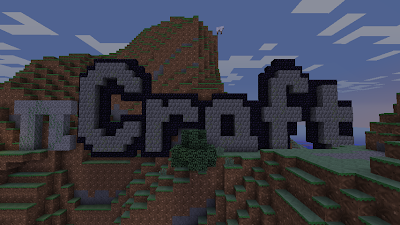 Remember to check back every Wednesday for more information on the πCraft Texture pack. If you have any questions or comments please post them below. God bless, and thanks for your time.